I cannot put a date on my first scented memory, but as far as I can remember I have always been attentive to the smells of my surroundings. I remember the smell of my parents’ house, the gardens of my young years, and the characteristic smell of asphalt after the rain. And I have always paid attention to the smell of my own skin, when it has been bathed by the sun, or when it is wet… I like to smell all its different states! 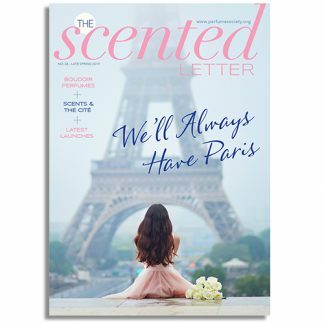 I was thirteen when I found out that perfumery could be a career. My aunt used to work for Christian Dior. She made me smell their new launch, which was Dune at that time. 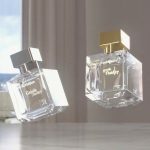 I realized that behind a brand (and a perfume), there was the work of a genuine perfumer. I understood it was a real job and I decided that one day, I would become one. It’s hard for me to answer, because I like almost every odour! Each odour has something about it from which I can learn or be inspired. But of course I am keen on my children’s scent. From Nature, I really enjoy the gorgeous smell of an orange blossom orchard, the soothing smell of the sea, the smell of earth when it is dried, the odour of pine woods in the south of France – when we leave the highway and when we go into the forest to reach our beach house. It is the olfactive signal of holidays! The smell of lilac, too, one of the most popular flowery smells in Europe. In perfumery, we don’t use it as a natural ingredient, because it cannot be extracted – so we have to reproduce it synthetically. I also love the smell of a natural vanilla bean extract, which could almost make me cry. It is both very regressive and sensual, because it has a leathery side. I try not to, but when the purpose allows it, I like to add a touch of vanilla, in order to bring addiction to a fragrance, or a trace of patchouli, in order to deepen its sillage (‘trail’). Some odoors are too horrible to even talk about them, but I really cannot stand the smell of the menagerie of wild beasts, or a pigsty. 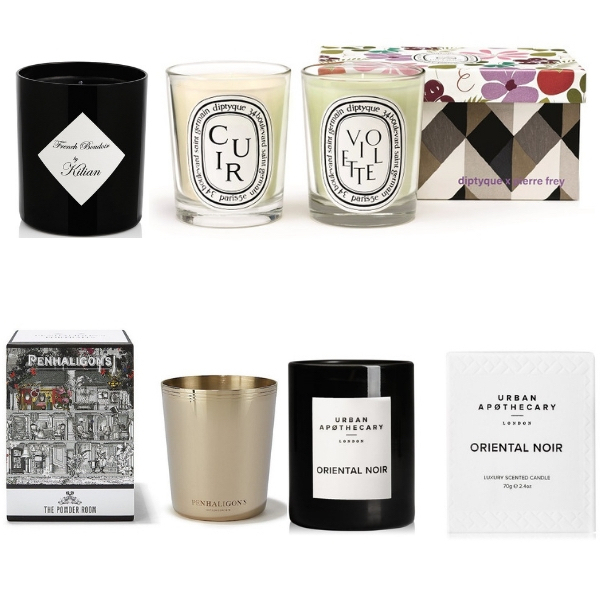 In the range of my favourite classics, I can quote Guerlain L’Heure Bleue, Lancôme Magie Noire or Grès Cabochard. They are at the same time avant-guarde and timeless masterpieces. If you could have created a fragrance for a historical figure, who would it be? Wonderwoman, and don’t tell me she is not historical! She embodies the 20th Century femininity…. The first fragrance I bought was The Body Shop White Musk and the first bought for me was Cacharel Anaïs Anaïs. These fragrances are two olfactive emblems of my generation. Sometimes it does not take long to ideate a fragrance, but to materialise it is much longer! It takes between six months and two years. The idea has to be reworked; you have to perform many trials before you perfectly formulate your initial idea. Fragrances appear as something specific in my mind. Of course there are synaesthetic links (between the different senses) and I often take my sources of inspiration from photo or images – but it is not the only way. I can see points of similarities between two raw materials, which makes me want to link them. The starting point is in this case purely olfactive. 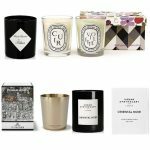 Do we live in an ‘over-fragranced’ world – scented candles, room fresheners, fabric conditioners…? You can choose to fragrance your environment or not. A scented environment is not mandatory. Of course sometimes on public transport you may be overwhelmed by the fragrance of your neighbour, but it is better to have a scented environment than an aseptic one. And yet, scented products have to abide by the rules of living together. Everything is a question of good measure! Besides we live in a culture of transformation, where every product is enhanced through ‘bigger than life’ flavours or scents. Even the milk for babies is flavored with vanilla. It is important to educate your children to the real taste and smell of life. Today, there is a lack of education; you have to taste a tomato before you eat tomato like flavored products… It will be the best way to really appreciate natural products.